All of the apostles reclining around the table at the Last Supper ask this question; one of them, Judas, asks it just to keep up appearances. He is about to set up Jesus for arrest and condemnation. And the Lord knows every step Judas will take to the chief priests, every thought in his heart, every word he will speak in procuring a band of soldiers and finalizing the logistics of this night of treachery and capture. He knows the precision of the plan that will bring Judas and company into Gethsemane in the dead of night. And that terrible signal… Jesus knows Judas will draw within a breath of Him, easing the way for a greeting kiss. But just before the wheels of the passion are set in motion, Judas says in the hearing of all that such a betrayal, for him, would be unthinkable. Trouble is—for Judas as for any of us—it’s not unthinkable. At all. 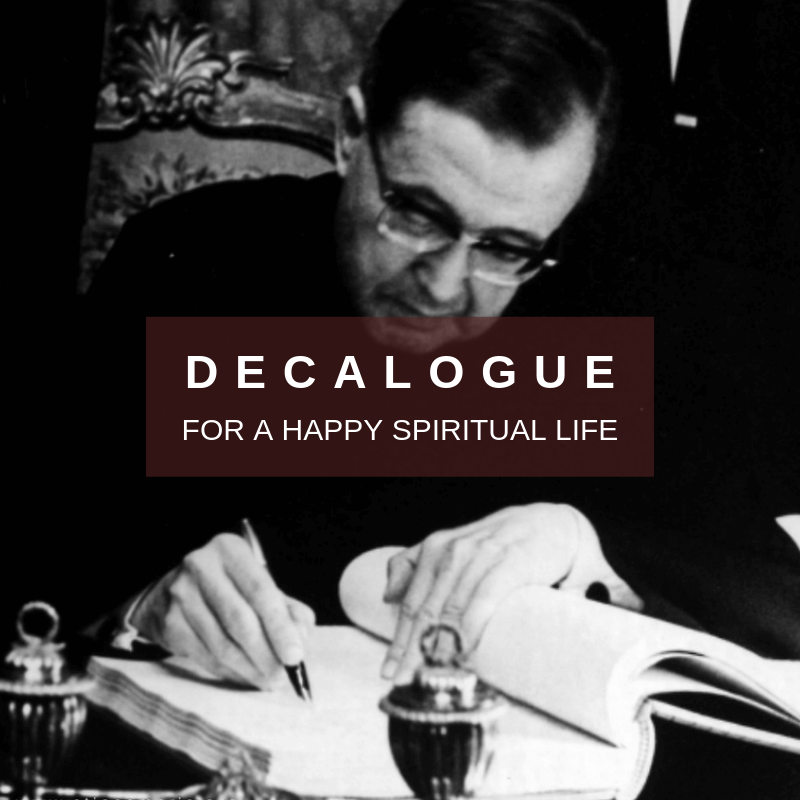 In words deliberately artless and blunt, St Josemaria makes the point: “As long as I am on earth I too am capable of doing something terribly stupid” (In Dialogue with the Lord, no. 161). Here is a man, a saint, who has no need or desire to keep up appearances. His need is to be real—which does not mean sinful, but humble. The humility of a fallen person is the forthrightness to say without blinking not only that he is generally prone to sin, but fully capable of committing any and every sin. We may not be inclined to this or that sin, and may never do this or that evil thing, but the vicious roots are there. We should be able to say, without being in the least ironic: I can be malicious, hypocritical, self-righteous, perverse and gross, and cruel. That’s you and that’s me. I think if we don’t see this about ourselves then our salvation won’t mean as much to us as it should, especially over the next few days. After all, what have we been saved from and what is God saving us from? Just one or two really big sins? No, Jesus died to save us from all sins. And if I’m not malicious or cruel it is because He has stepped in my path and prevented me. For you, my miserable soul, have indulged with unsparing excess in the harvest of all the human evils from Adam till the end of the species, and even found some new ones, despised and repugnant to your creator, God. What does this say about our confidence in God and the power of His resurrection? Do you believe in the power of the Lord’s resurrection to change your life today? 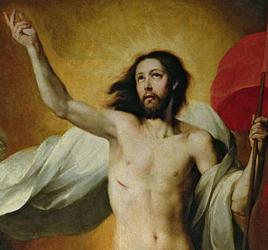 “Grant us to attain the grace of the resurrection” we ask in today’s opening prayer, with Easter still a few days away. But if we don’t act on it today, will we be any better off on Sunday? Everyone can look back with regret and say, “If I only knew then what I know now,” or “I wish I had it to do over again,” or “I wish I could take that back,” etc. And it is beyond our power to do so. But it’s not beyond God’s power to bring some good out of it. I don’t see how we can read the Gospels and come up with any other answer. I don’t see how we can look at the lives of the Saints and draw any other conclusion. 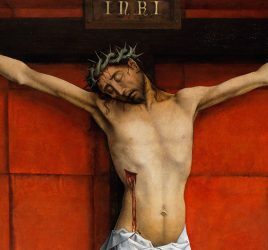 We look at the Lord on the cross and we see a broken and tortured Man, doing what? Doing everything for us: loving us, saving us, encouraging us, embracing us, drawing all things to Himself. We look at the failures of St Peter, St Mary Magdalene, and so many other “shady” characters of the Gospels, who had real failures to be sorry for. And we celebrate them at the altar as having been renewed and healed by Christ. Their falls are now encouragement for us. Simon Peter, for one, had even vigorously protested against Jesus when the Lord told him to his face: You will deny me three times before dawn. He found out what he was truly capable of in the hours that followed, and never forgot it. The sins and mistakes aren’t the main point; it is the goodness and mercy of God that make the Saint out of a failed person. Sometimes we see the Saints going through horrible experiences—experiences that could destroy a person’s hope, experiences that could make a person bitter and angry for the rest of their lives. But they go through it with God. They don’t just try to cope; they go through their suffering, even the consequences of their own sins, walking with God. 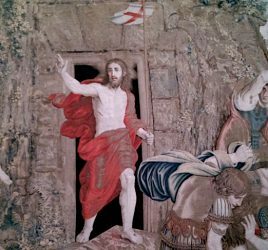 As we follow Jesus to the Upper Room, to Calvary, and to the tomb, and out of the tomb, we learn the importance of being able to do something very simple: to stand up again and again. That is our version of the resurrection during our own lifetimes on earth. If I believe that Jesus is going to suffer all things for me and then rise again, then my response to His gift must be to stand up again. To rise up after repeated failures shows that we are headed toward a final rising, an ultimate resurrection of our own, after which there will be no further danger of falling, and every tear will be wiped away. Our Lord is now in deep anguish and His tears are beginning to flow. We should recognize that He weeps not for Himself. His distress is not even so much over sin. He mourns our lack of receptivity to the forgiveness He is purchasing for us. He mourns our lack of confidence in His love and mercy. He sorrows over our lack of honesty about ourselves. If we fail to acknowledge our sins, how can we be made whole again by His wounds? During the next days, we should hear the Lord engaging us in a unique dialogue. As we ask, “Is it I, Lord?” He can respond: It is. But be not afraid: I AM. I am the resurrection and the life. I am your resurrection and your life.